Exposed to the elements year-round, your roof can sustain a range of different forms of damage, many of which could ultimately compromise your home or cause additional problems. Leaking especially is a major problem, as water can destructive in a range of different ways in your home, including resulting in mold growth. That’s why quick and professional repair is important. That’s exactly what we provide, so you can mitigate and prevent a range of problems from impacting your home. We are the roof repair contractors that provide the wide range of repair services that you need should any problems arise. Whatever type of roof you have, and whatever type of roofing material it is, we have the repair service that you need, no matter the problem you are experiencing. We provide repairs for all kinds of metal roofing, including aluminium roofing and steel roofing, rubber roofing, asphalt shingles and slate roofing. We even offer repair service for flat roofs too. We really do it all when it comes to roofing. So whatever type of roof you have, you can turn to us to get the professional help that you need when damage occurs to your roof. One of the most common problems that you might find your roof experiencing is leaking. This is dependant largely on the material, as some roofing materials are less prone to leaking than others. Water getting anywhere in your home can cause serious damage and might even result in things like mold growth, can damage your drywalls and even your foundation in the wrong circumstances. That’s why discovering the source of any leak and getting it repaired quickly is imperative for your home. We offer roof maintenance to help you avoid all the costly damage that water can cause in your home. 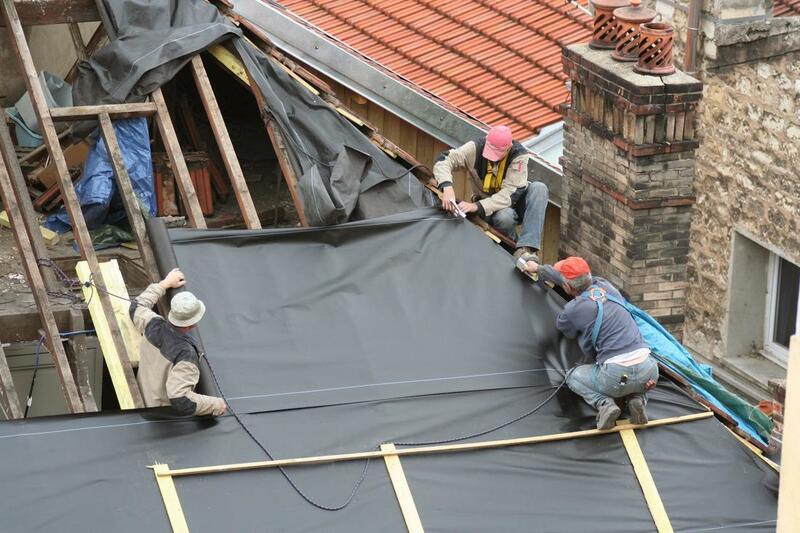 When it comes to roof repair, no one can match our expertise. Our expertise covers all materials and roof types. It’s that simple. So you know we can always provide the repair service that you need. We provide the range of services that you need to quickly and effectively repair any damage that your roof might incur. So you can be sure that any problem your roof might have will be comprehensively fixed, in no time at all. Get things repair quickly back to normal by turning the roof contractors who have tried and true expertise. We always make things easy and straightforward. It can often be tempting to try and save some money and do any roof repair by yourself. This isn’t something that we recommend. This is because repairing your roof requires you to work at a height that can be potentially dangerous, given it’s something you might not be used to. You need to ask yourself if it’s really worth trying to repair your roof alone. Don’t put your ow safety at risk, we have all the expertise and know how to not only do the job professionally but safely.